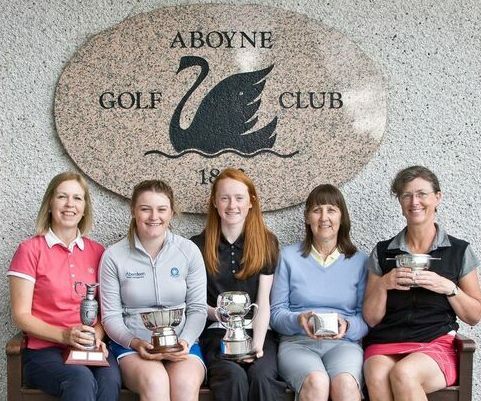 After some highly competitive golf, Aboyne Golf Club have new champions after the club held the finals of its Ladies championships last weekend. Carmen Griffiths won the coveted title of Ladies Club Champion, whilst Carmeen Eakin won the Silver division handicap securing a 3 and 2 win against Susan Davies. In the bronze division, Val Bruce won in a closely contested match 2 and 1 against Tamara Sebire. Crowned Club Champion for the second time in three years, Griffiths overcame Scottish Ladies player Shannon McWilliam with some stunning golf winning 5 and 3.